It’s been a busy year for Heroes of the Storm, and at last Closed Beta has arrived! With today’s patch, we enter a new phase of testing, and whether you’ve been brawling in the Nexus for months now, recently received access, or are still chomping at the bit to play as your favorite heroes and villains, we have a feast of information to catch you up on what’s ahead for Heroes of the Storm, including new features, a new Hero and new Battleground! This patch brings with it a host of changes, including the introduction of Hero League, Thrall, and our newest Battleground, Sky Temple! You can find out all about this exciting content in the comprehensive blogs linked below. In addition, if you’re interested in getting caught up to speed about the additions we’ve made since we launched the Technical Alpha last year, you can also read some of the highlights in our 2014 Year in Review. With the arrival of Closed Beta, we’re pleased to let you know that we’ve updated our Community Tournament Guidelines. If you’re interested in hosting a Heroes of the Storm tournament, kindly ensure that your event complies with the guidelines listed in our Community Tournament policy. It is important to keep in mind that Heroes is still in the Closed Beta testing stage, and future updates will likely bring changes to features, including those you’ll use frequently while running a tournament. Additionally, we cannot guarantee that maintenance downtime, game updates, bugs, or other service interruptions will not conflict with the timing of your event. Finally, we know that not everyone who wishes to participate in Heroes tournaments has access to the game at this time, but we’re still inviting new players into the Closed Beta on a regular basis. If you don’t have access just yet and want to learn how you can get in on the action, look no further than our “Prepare for Closed Beta with Fighting Words” blog, and make sure you’ve opted-in to testing on your Battle.net Account Management page! This is only the beginning. Like we said in the video, for those of you who have been with us since the beginning, you know that Heroes has changed dramatically over the past ten months of testing. For those that are new, we have made improvements to all facets of the game, while also continuing to iterate and deliver exciting new content. 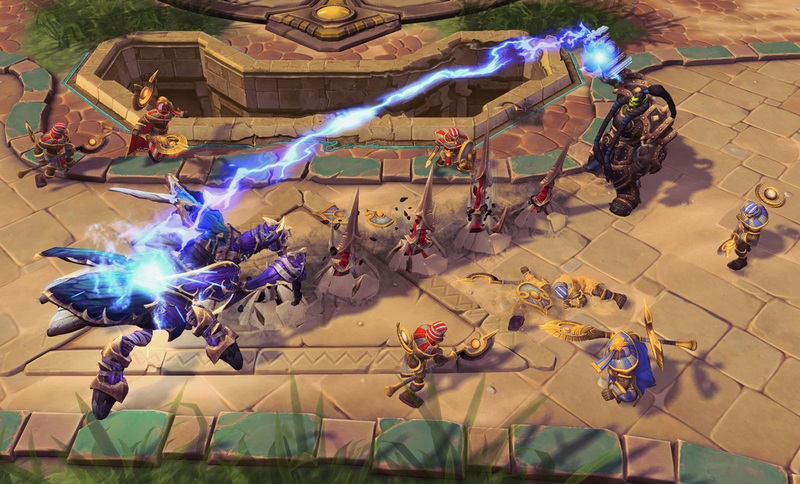 We hope you enjoy the recent changes we’ve made to Heroes of the Storm. We have even more features and content in store, and future game updates will bring further improvements, iteration, and refinement to them over the months ahead. In the meantime, please continue to share your constructive thoughts with us in the Heroes forums. We love hearing from all of our player community, and your feedback goes a long way toward helping us make Heroes the best game it can be. We hope to see you in the Nexus soon!